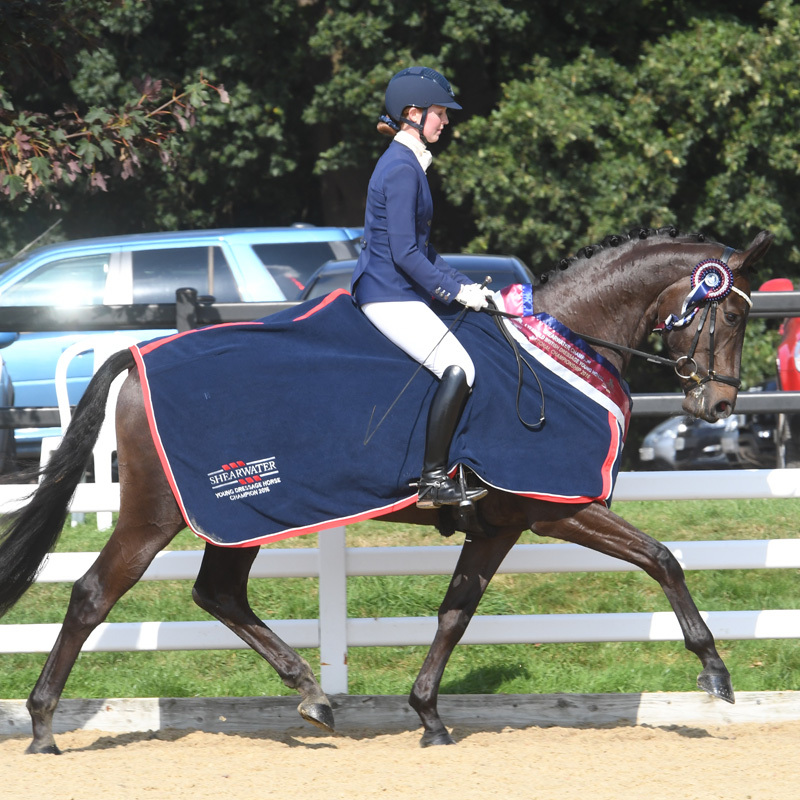 First in the arena at 7.50 on Thursday morning and the first British bred winners at the BD Nationals, were Abigail Unwin and her buckskin gelding Arleys Dun Deal. 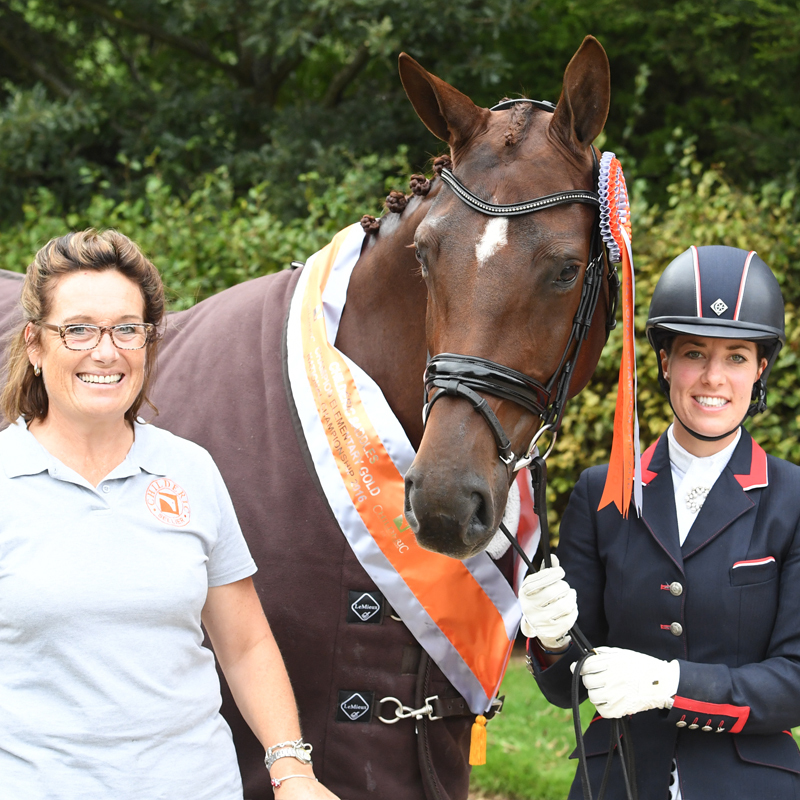 Originally bred for eventing by Arley Moss Equestrian, this wildcard entry, is a son of the perlino stallion Burnocks Unqiue out of a mare by the popular coloured stallion Goshka Ringo. Burnocks Unique hails from the blue blooded eventing sire line of 4 star eventer Welton Crackerjack. The National young horse classes in any discipline, are always a good indication of the strength of that country’s future talent. 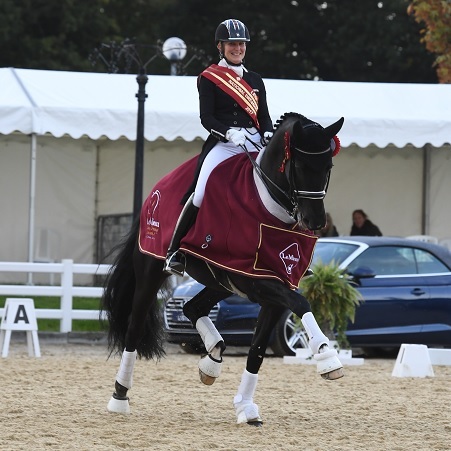 In dressage, there are always some horses that are not competed until they are older and more established but even so, the young horse classes are still fascinating to watch and can be a source of some incredible talent (think Valegro). The largest section of stallions forward were being showcased for dressage. There were 25 stallions entered in this section, 3 of which were pony stallions and 1 who did not come forward. Most of the commentary in this section was provided by Lynne Crowden (Woodlander Stud) whose in depth knowledge of bloodlines means she can ad-lib where the provided commentary notes fall short, and her enthusiasm and passion added greatly to the event. I don’t think the importance of the right commentator can be stressed enough when trying to engage the audience. It was generally agreed among the spectators that the standard of presentation is improving each year, and there were a few stallions forward that were as good a standard as you would find at the stallion shows in mainland Europe.